We are proud to introduce ourselves as one of the prominent Rice Bran Meal Suppliers from India. We offer a rich range of Agriculture Rice Bran Meal that is specifically utilized as a cattle as well as poultry feed. Highly rich nutrition content makes this rice bran meal broadly accepted by customers. 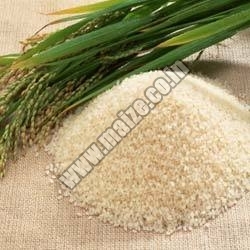 This Rice Bran Meal can be obtained at reasonable prices. We are one of the leading Rice Bran Exporter & Supplier. The Rice Bran Oil and Rice Bran For Animal Feed is highly demanded in market. We are trusted Rice Bran Meal Supplier and customers can rely on us for best quality and least price. We have many warehouses with us and can efficiently meet the many bulk requirements of the customers coming to us simultaneously together. We also test the quality of Rice Bran Meals before dispatching the order. We always deliver the order for Rice Bran Meal on time.